At the turn of the century – just let those words sink in for a second – Simple Minds had run out of gas. Their twelfth album, 1999’s Our Secrets Are the Same, didn’t see a proper release for another five years, and even then it was as a bonus disc to a box set of live and unreleased tracks. Their 2001 covers album Neon Lights is the kind of thing that polite people do not talk about in mixed company. With their last US Top 40 hit a decade behind them (“See the Lights,” #40, 1991), and their last Hot 100 appearance over a half-decade ago (“She’s a River,” #52, 1995), Simple Minds was aimlessly adrift. This would explain why singer Jim Kerr decided to open a hotel in Sicily around the same time; even he suspected that he needed a side hustle in case the day job went south. Four years later, Simple Minds does the unthinkable: they wipe the slate clean. 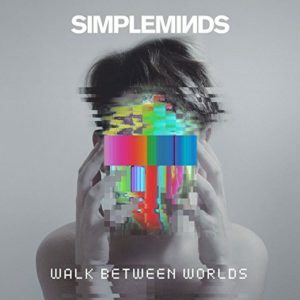 The band reteams with Bob Clearmountain, he of the golden ears (and co-producer of 1985’s Once Upon a Time), to mix their record Black and White 050505, and for the first time in ages, Simple Minds matters again. The tunes were cracking, Kerr was in excellent voice, and the band showed an eagerness to adapt to the times, if the smartly executed Auto-Tune on “Stranger” is any indication. The high didn’t last long, though; the US album release was postponed to coincide with a US tour, and then canceled altogether. Their 2009 album Graffiti Soul is viewed as a slight step backward, yet still a positive effort from a “vintage act” (singer Jim Kerr’s words, not ours), but it’s 2014’s machine-friendly Big Music that changes the narrative. Suddenly, the band is earning its best reviews in three decades, never mind one. It may sound strange to describe a band releasing a new album three and a half years after their previous one as striking while the iron is hot, but those vintage acts are not subject to the same level of expectations in terms of timely product delivery, so when the press release for Simple Minds’ new album, Walk Between Worlds, landed in the inbox, the first thought was, “Wow, already?” The second thought was, “Hey, where did the rest of the band go?” Simple Minds mainstays Jim Kerr and guitarist Charlie Burchill are surrounded by a group of relative kids the band recruited for an acoustic tour (longtime drummer Mel Gaynor plays on the album, but does not get a mention in the presser), but the drastic lineup change does minimal damage, if any. Sonically, Walk Between Worlds is a slight pivot from the classic-yet-contemporary Big Music, but in the same ballpark. If there is anything holding the album back, it’s the insistence on a radio-friendly unit shifter. And what opens the album but that very thing, “Magic.” There is nothing inherently wrong with “Magic” as a song, per se. Here, take a listen. Having said that, “Magic” feels counterproductive at this point in the band’s career. If the A&R man says, “I don’t hear a single,” punch the A&R man. Yes, that worked for Heart, but that worked for Heart over 30 years ago. The album closes with a similar moment in “Sense of Discovery,” which borrows liberally from the vocal in the pre-chorus to the band’s 1985 smash “Alive and Kicking.” It seems odd that, after staying away from such stunts their entire career, they would entertain the idea now. Everything in between the bookends, though, makes perfect sense with the idea of Simple Minds in the here and now. “Utopia” is haunting in the best way, “Barrowland Star” is both nostalgic and vicious (Burchill drops a rare solo, and a blistering one at that), but the album’s standout moment is “The Signal and the Noise,” a near-perfect synthesis of the band’s past and present. Vocally, Kerr is more of a crooner than a bellower at this point, which is not uncommon for singers from his generation (see: Midge Ure, Bryan Ferry, Morten Harket, Paul Young), so those expecting big, “Speed Your Love to Me”-type performances will be let down on that front. On the flip side, perhaps it’s time to give respect to Simon Le Bon, Andy McCluskey, and the ‘80s-era high tenors who can still sing like high tenors. Just throwing that out there. Most of the bands that were popular in Simple Minds’ heyday, and are still together today, have stopped recording new material altogether and embraced their status as a legacy band, content to play the hits on the festival circuit. It is to Simple Minds’ great credit, and perhaps financial detriment, that they have chosen the road less taken. If they had stopped recording the year that the Cure stopped recording, Black & White would be their last album, which deprives the world of Walk Between Worlds. I, for one, know which, um, world I would rather live in. Tagged Charlie Burchill, Jim Kerr, Simple Minds, Walk Between Worlds.